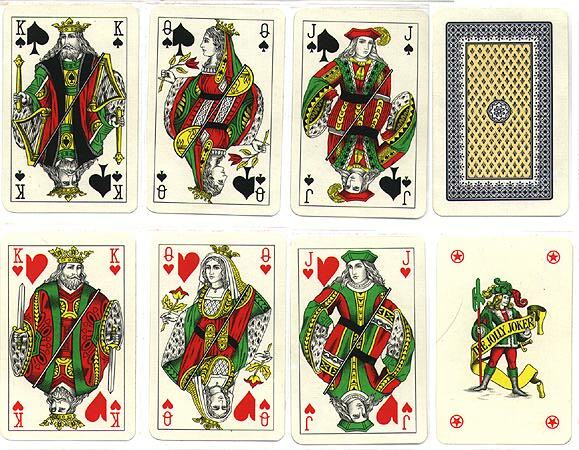 Same face cards as the Turkish Deck I have. That one says something about Piatnik on it (in Turkish), so this one may be from Piatnik, too. 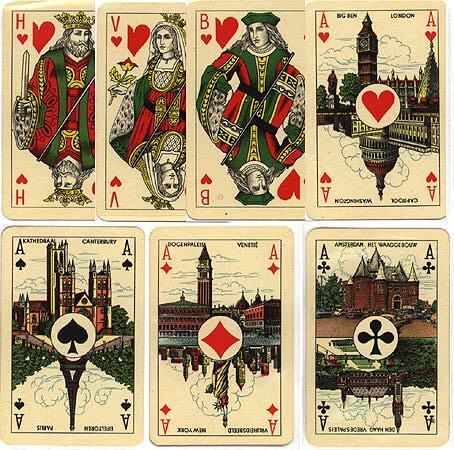 I have this one with the same face cards and backs but with various landmarks on the aces and H on the kings, V on the queens, and B on the jacks. According to Peter Endebrock, made in Hungary for sale in Turkey. Joop Muller adds: I agree with Peter that this deck was made in Hungary. 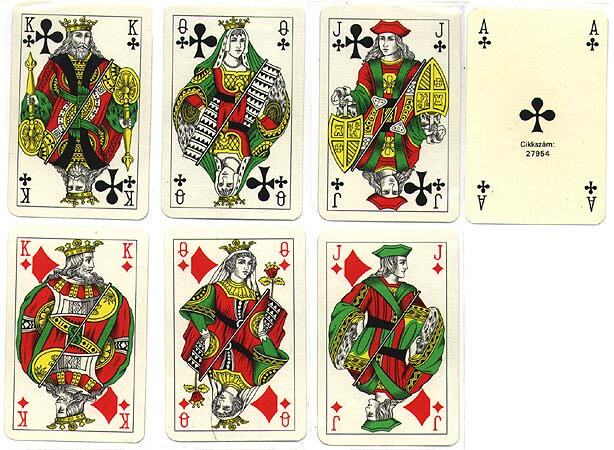 It should be among the standard patterns, as this pattern (originally -and still- used in Belgium for the French and Walloon market) is known as the Belgian-Genoese pattern. It usually comes with French indices, but here English ones were used.